I am the draft guidelines that the capital market regulator, Securities and Exchange Board of India (Sebi), issued in September to govern investment advisers. As of now, I am merely a suggestion that Sebi made and invited comments upon. Investment advisers would broadly cover distributors, agents, private wealth managers and even institutions such as banks who offer advice for a fee. This is not the first time that I am in the spotlight. Sebi had come out with a draft set of investment advisor guidelines in October 2007 and asked for feedback from the public. But nothing happened then. This time, hopefully, we can go a step ahead. Why am I being proposed? Apart from bringing some uniformity, I will also prescribe some minimum qualification and work experience. A recent survey of Cafemutual, an independent forum of MF professionals, said that 6% of MF distributors surveyed did not go beyond high school. I shall set a minimal bar when I become a law. There’s a lot of work to be done, still. Sebi has taken the first step by issuing guidelines that will cover MF distributors, though distributors sell other products as well. How I will apply only on MF distributors and not on everyone remains to be seen. 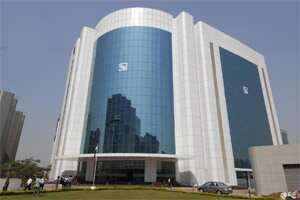 Sebi has also proposed setting up a self-regulatory organization (SRO) to govern distributors. While the SRO will govern the activity of investment advice, issues relating to financial products other than securities (such as MFs) shall come under the jurisdiction of other regulators. Whether or not the other regulators, including Insurance regulatory and Development Authority and Reserve Bank of India, will come on board—and in what way—remains to be seen. Further, I have recommended that distributors clearly classify themselves as those who offer advice only or do just execution of transactions. All this is easier said than done, but at least I have started the discussion. Sebi’s closing date for inviting comments is over and now it will deliberate on the feedback it must have received.